Get your tickets now for ICC Night at the Chiefs on August 11! Summer means baseball, and ICC is getting in the game. 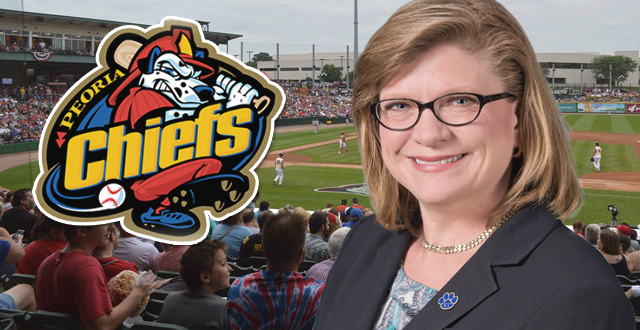 President Sheila Quirk-Bailey will throw out the first pitch at the Peoria Chiefs game on August 11! ICC faculty, staff, retirees, students, alumni and even friends can purchase discounted tickets at icc.edu/chiefs. Use the code “ICC” to receive your discount. Help us promote the College by wearing your ICC apparel that night.